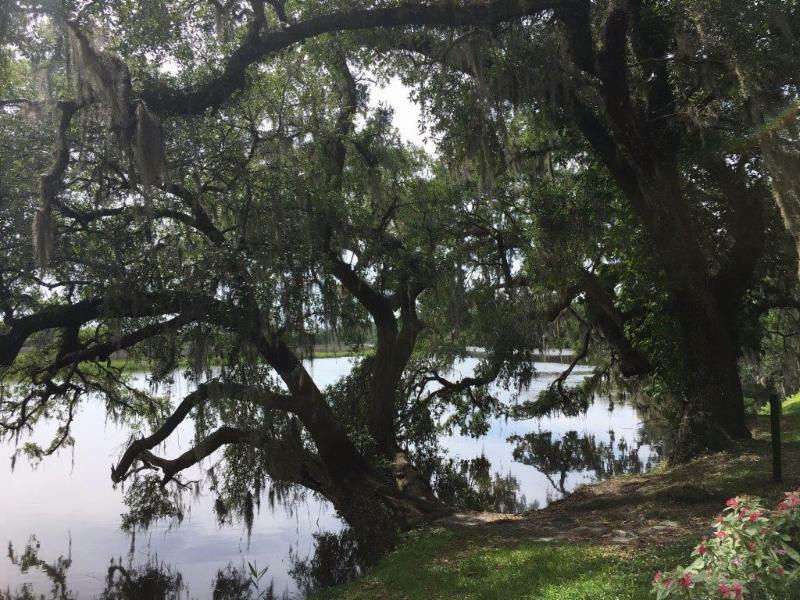 On June 9 and 10, 2017, the Contemplative Alliance/GPIW reconvened in Charleston, South Carolina for a community dialogue called Restoring Wholeness: Within Ourselves, with Each Other and the Vast Community of Life. 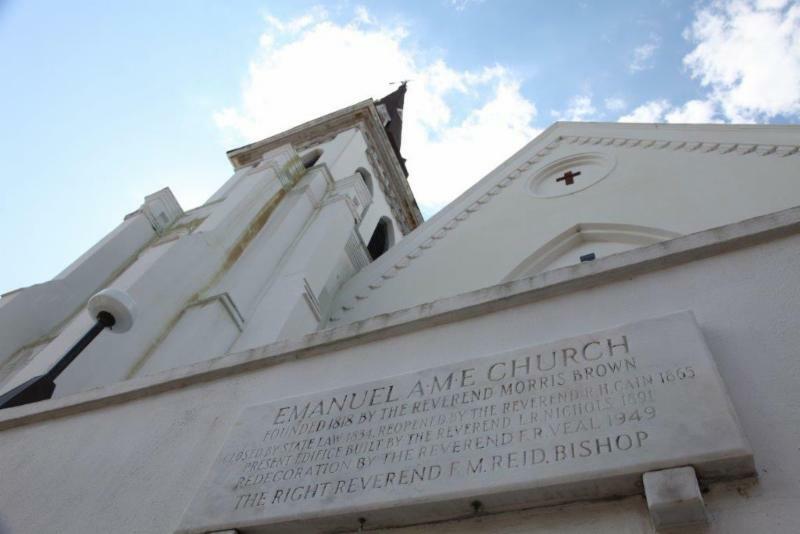 The mission of the gathering was to hold in remembrance the victims of the racially motivated shooting at the AME Mother Emanuel Church in June 2015, re-engage local partners as well as the Charleston chapter of the Contemplative Alliance. 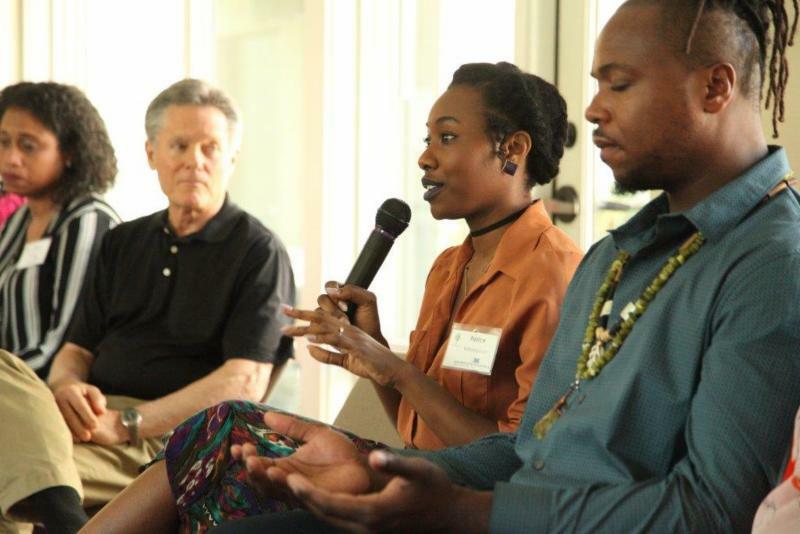 We went to gather local citizens in an ongoing contemplative platform to address the racial divide in America and the current impact of climate change on coastal cities like Charleston. 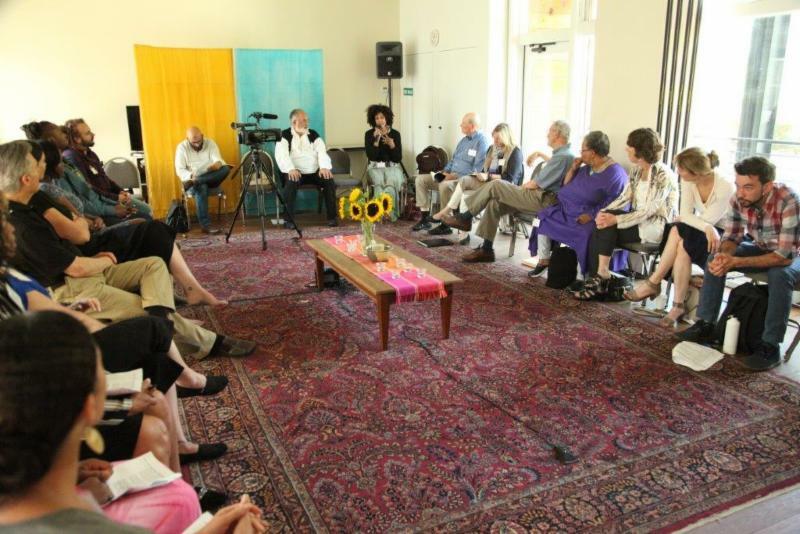 The diverse group of 33 participants included experts in the social justice and ecology fields, artists, practitioners of the Buddhist, Baha'i, Christian, Indigenous, Muslim, and Yogic spiritual traditions, as well as thought leaders in progressive community development. The gathering was opened by Rev. Nelson Rivers, a pastor and renowned community advocate and leading organizer of the largest civil rights demonstration (50,000 people) in the history of South Carolina. Rev. Nelson’s statement framed the context of the group discussion on the racial divide in America and the impact of white privilege lived out in institutionalized racism. 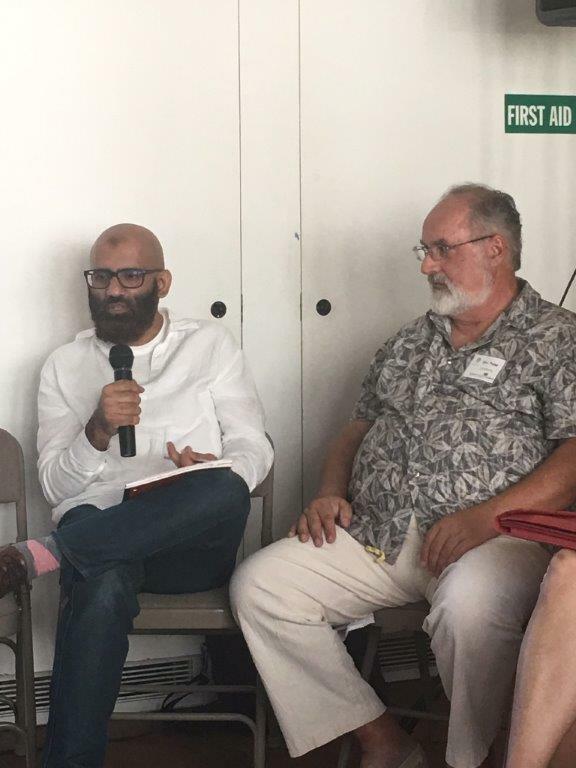 His candid reflection opened the participants to discuss the unconscious nuances of prejudice that require action in the realm of racial equity and justice, not merely acceptance and diversity. The discussion addressed that inclusion does not change attitudes and behaviors that perpetuate oppression, and it does not deconstruct or confront the framework of systemic privilege still in place. Instead, many in the group called for individuals to take individual responsibility in telling the truth about the impact of slavery as a business and industry in America. This includes shedding light on the ways, even generations later, it continues to benefit a particular sector of society. The long term impact perpetuates economic, social and educational disparities that infringe on the human rights and civil liberties of others. Rev. 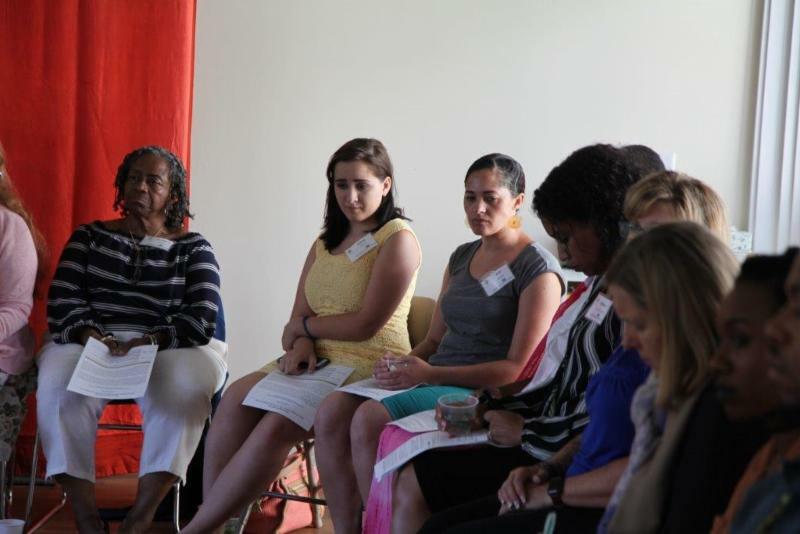 Rivers is now part of the Leadership Team of the Charleston based Social Justice, Racial Equity Collaborative. This initiative was formed in response to the tragic act of terror targeting the AME Mother Emanuel church in June 2015. The Charleston action group is currently developing a strategy toward policy improvement for people of color in the areas of education, policing, gun violence prevention, healthcare, housing, economic justice, and expansion of voting rights and democracy. 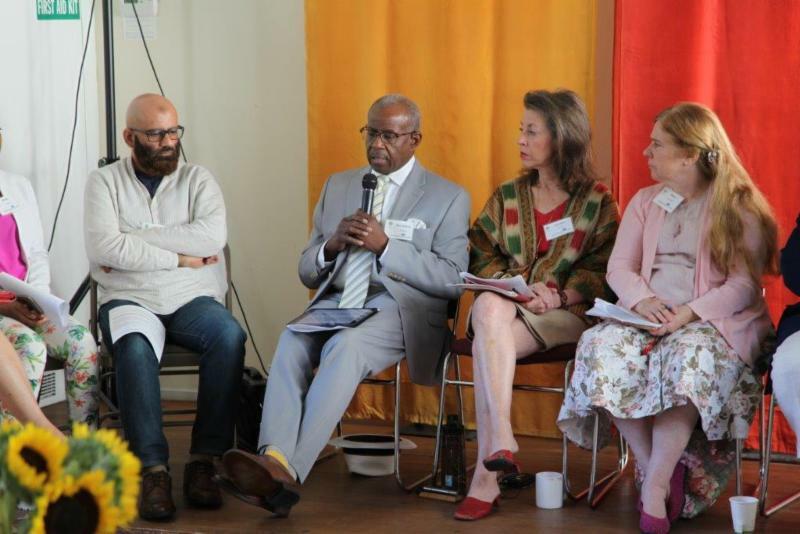 The Contemplative Alliance/GPIW partner in Charleston, the Sophia Institute, under the directorship of Carolyn Rivers is the co-convener of the Social Justice, Racial Equity Collaborative. Carolyn has been a leading example of bridge building. She engages the community in the processes of personal inquiry and deep listening required for healing from historical trauma. Uncovering hidden truths around race and actively pursuing personal transformation are the key qualities — addressed in the dialogue — that effectively uproot cycles of inner and outer violence that continue endemic injustices. ABOVE: The visiting Contemplative Alliance group pays its respects to the AME Mother Emanuel Church. 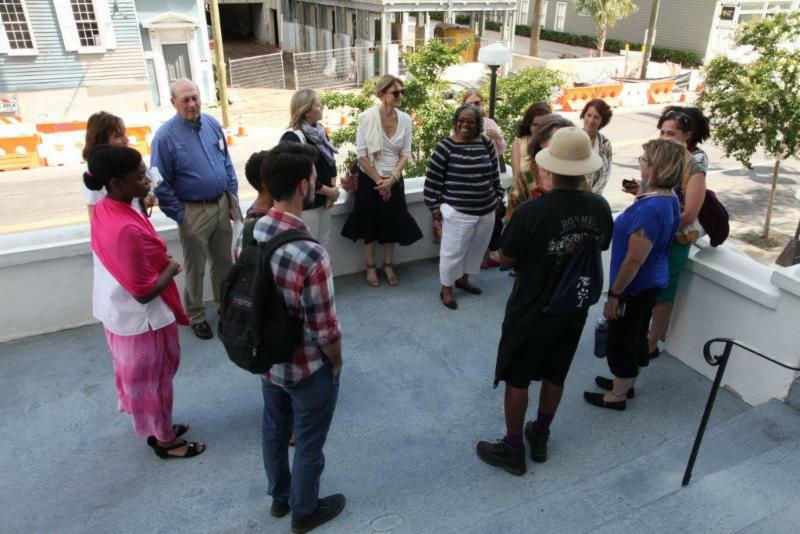 The church community warmly received the well wishes and designated a long-time member to give a tour and historical overview of the Mother Emanuel presence and civic engagement in the Charleston community. “Since [June 2015] we have birthed a wonderful voice among young activists. It is a catharsis. This is a process of reclaiming power and dignity. For us to come into our sense of dignity we have to say ‘no more’. We have to refute ideologies that don’t allow the common good to flourish. It’s going to take a generation that doesn’t have a visceral trauma. Speaking to deconstructing personal beliefs, Alex Epstein, Co-Founder of Philly Urban Creators, spoke about the process of self-inquiry that was awakened in him when he decided to stop ignoring the class divide that he saw as a youth living on the Upper East Side of Manhattan. As an adult, he consciously participates in society by confronting racism he says is lived out, even among the well intentioned “non-racist”, by virtue of the white privilege paradigm. Currently he co-organizes an urban farm and community space with two African American co-partners; together they are investing in their local community of North Philadelphia. Sharing observations from a recent meeting with representatives of 14 Native American nations in Moab, Utah, Bob Toth, Former Executive Director of the Merton Institute said, “The Western mind is anthropocentric, the Native mindset is Earth based. When you try to understand the Native perspective with a Western mind, it doesn’t work.” His comment helped to re-emphasize the personal responsibility one needs to take in analyzing habitual thinking that reinforce patterns that lead to disharmony and thwart progress toward societal wholeness. The discussion of Standing Rock raised the widespread issues around indigenous injustice as well as Earth injustice, and much like the Native worldview, illustrated that you cannot separate man and nature. The violence inflicted on man in society is also a direct manifestation of the conditions that create the violence acted out on nature by man. The deepening discussion of Standing Rock offered a profound example of contemplative processes that support collective healing and transformation. 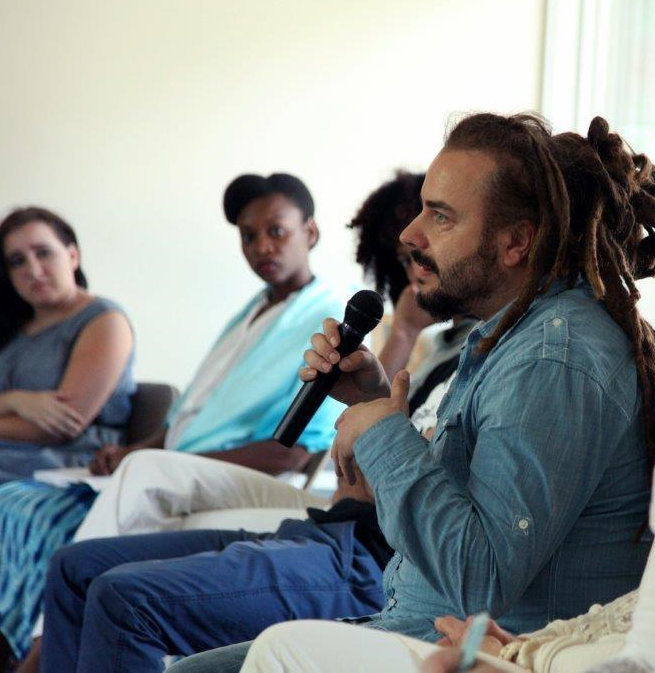 It inspired the group to consider how the unique gifts of spirituality could be available to a wider whole in future uprisings to help support intentions toward progress in the right way. It also reinforced that transformation work has to address the micro and macro conditions. 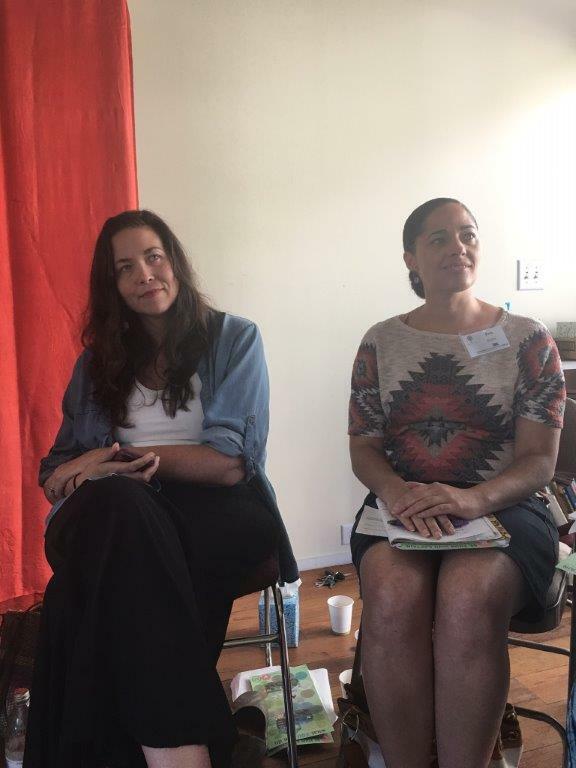 The group suggested that activists and non-activists first take personal responsibility to confront oneself and then engage in the broader dialogue. This type of healthy confrontation enables thinking to go deeper and gives birth to a new way of living, being and producing together. 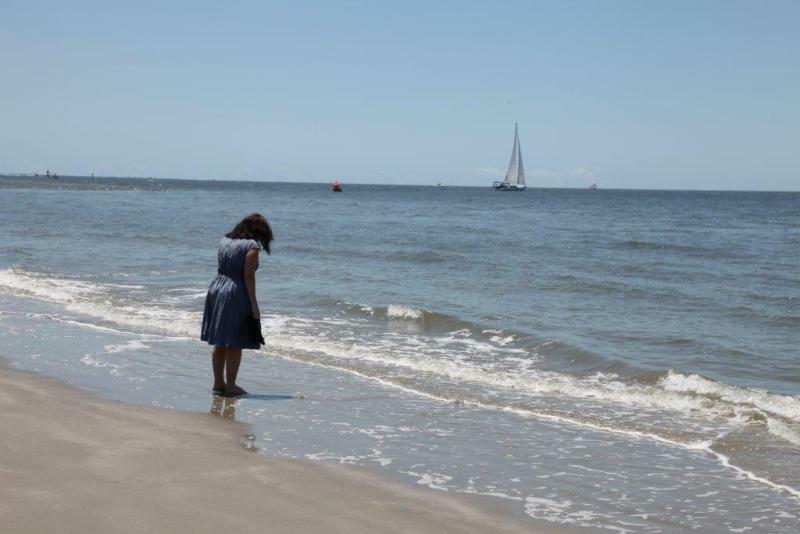 Looking at examples of new ways forward, the program included thriving examples of actions in Charleston that promote greater human unity and balance with the earth. One such effort is the Enough Pie organization addressing the displacement of a long-standing unified community presence in the Upper Peninsula. Co-Founded by Cathryn Zommer, Enough Pie’s work uses creative art outlets, diversity inclusion, and raising the presence and profiles of local businesses original to the area to connect and empower an already thriving community from the pressures of gentrification. 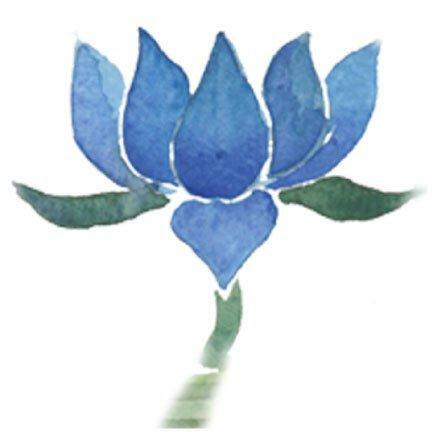 Reflecting on her work with Thich Nhat Hanh’s Earth Holder Sangha, she reminded us that if humanity adopted a plant based diet we would stop climate change in its tracks. Few want to acknowledge that industrial farming of animals is one of the leading causes of climate change. 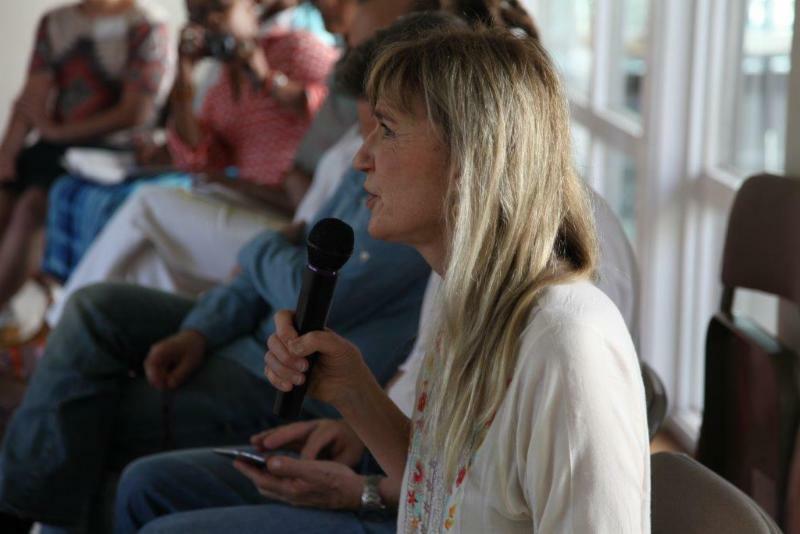 The two day conversation also examined the purpose of interconnection in Restoring Wholeness. The analogy used to explain interconnection was that the body would not work if it were to look out only for the individual parts. The collective is constructed according to the same principles. It doesn’t work if all parts are not considered, and thus the breakdown ecologically and societally that we see recurrently today. The gathering in its entirety surmised — be it confronting racial divides or stemming ecological degradation — that the key for the next stage of evolution is about stepping outside oneself and connecting to the greater whole in order to manifest the unity and harmony we seek, personally or collectively, in order to truly Restore Wholeness. 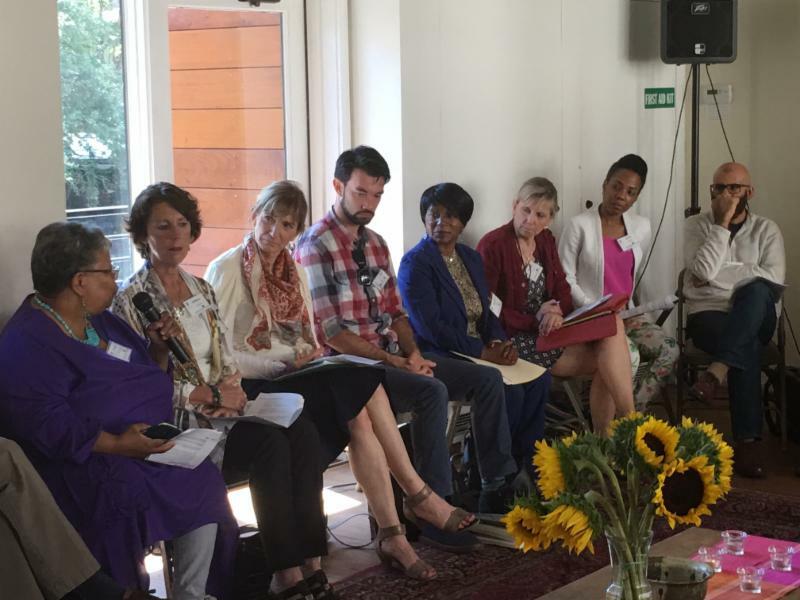 GPIW / The Contemplative Alliance will continue this conversation in New York in September. If you are interested to join please contact us.